Former FIFA World Footballer of the Year George Weah rallied his teeming fans and supporters ahead of the delayed Presidential run-off polls as frenzied supporters danced and sang in support in a Monrovia stadium on Saturday. Weah will stand against incumbent Vice President Joseph Boakai on December 26 in a long-delayed run-off for the presidency, with hopes that Christmas celebrations do not stop his legions of young and poor supporters from coming out to vote. “Weah is our man. Weah for president,” they screamed across a cacophony of rumba and vuvuzelas, jumping from pick-up trucks that have brought Liberians to the capital from all four corners of this small west African country. 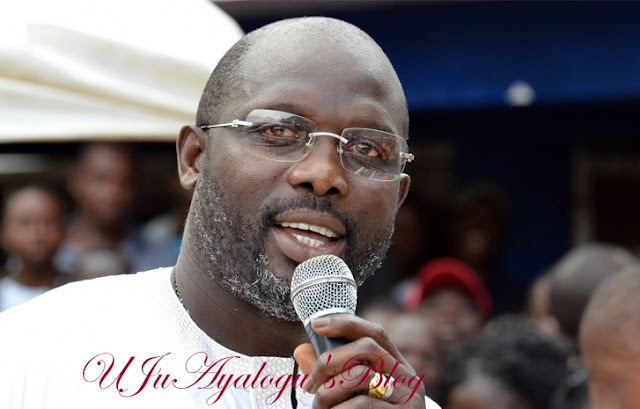 Speaking before the rally, Weah was emphatic about his chances with just three days to go.